The best-selling A320 Family marked a new milestone with Paris-to-New York nonstop flight flown by the A321LR – demonstrating this jetliner version’s ability to serve new markets and operate on heavily-travelled North Atlantic routes with the highest levels of efficiency and comfort. Its ‘long legs’ are signified by the No. 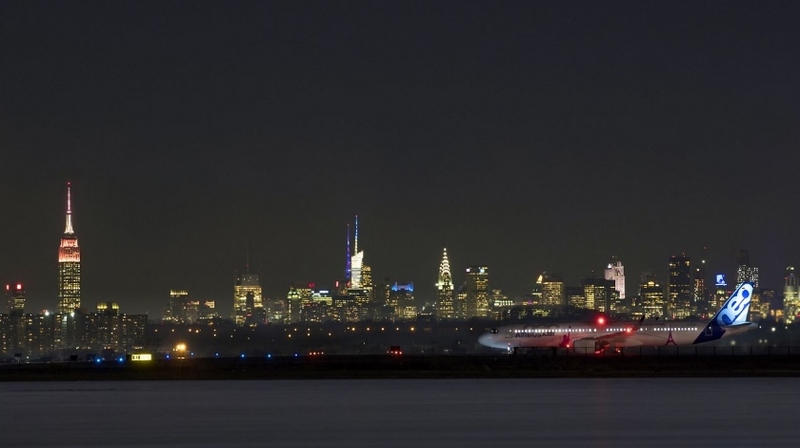 1 A321LR’s livery featuring the Eiffel Tower and Statue of Liberty – a representation of the Paris/New York route flown yesterday from Le Bourget Airport near the French capital to the New York region’s John F. Kennedy International Airport. The aircraft also is well suited for intra-regional airline segments in Asia, the United States and other markets. Airbus continuously invests in theA320 Family – some $300 million per year – to keep this jetliner product line at the leading edge of technology, thereby creating value for its customers and providing continued comfort for passengers.